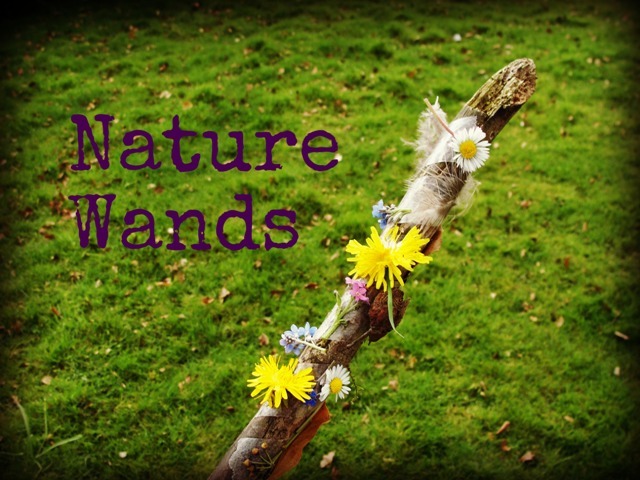 These Nature Wands are ideal for sprinkling a little discovery, creativity & imaginative play! 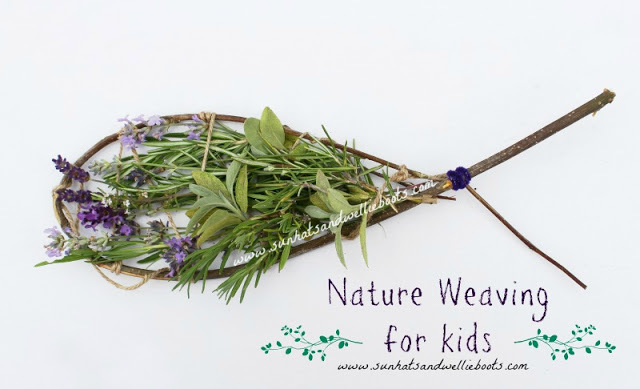 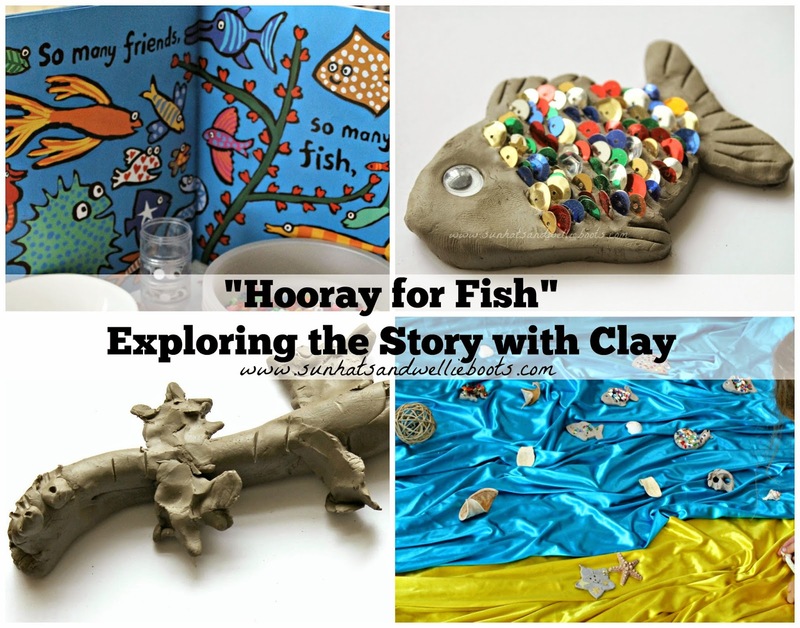 Simple to make & great for exploring what nature has to offer. 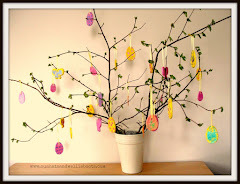 All you need are sticks & double-sided tape! 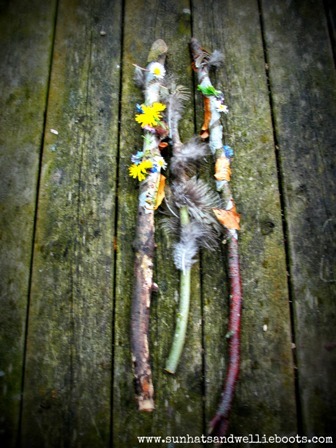 Minnie used sticks she had collected on a recent woodland walk, & we wound sticky tape around the top half of each one. 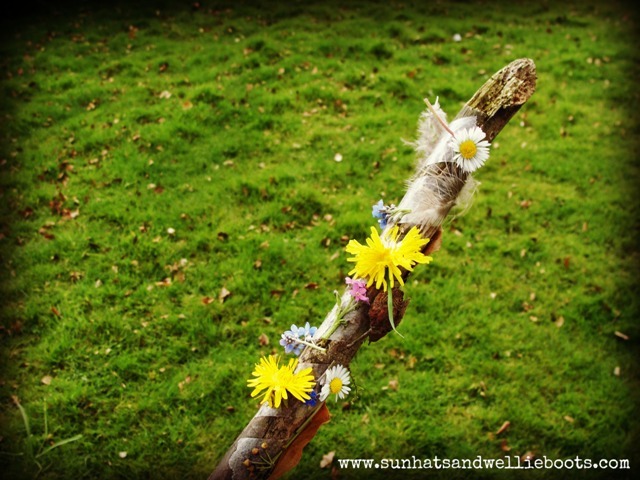 Then she headed off in search of her nature treasures. 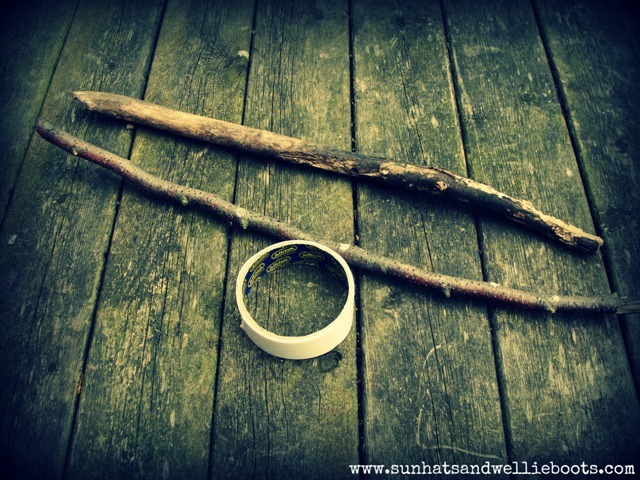 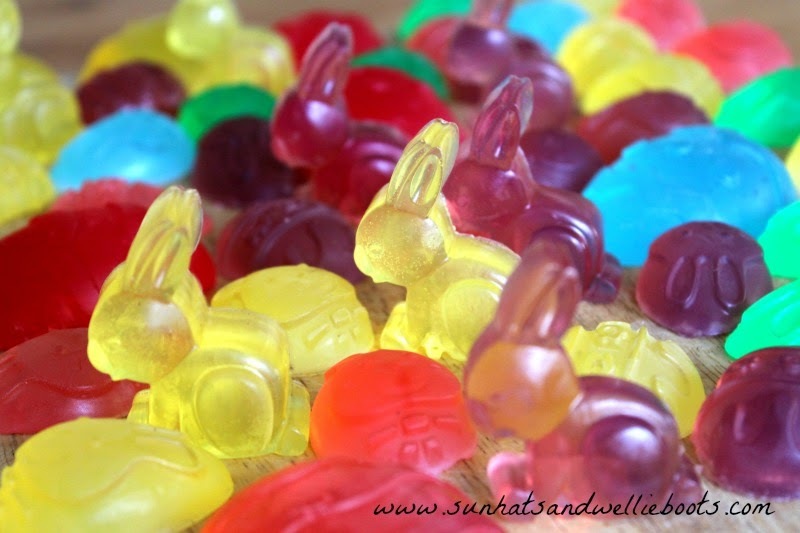 Each time an item was found it was stuck onto the wand, & soon she had gathered quite a collection! 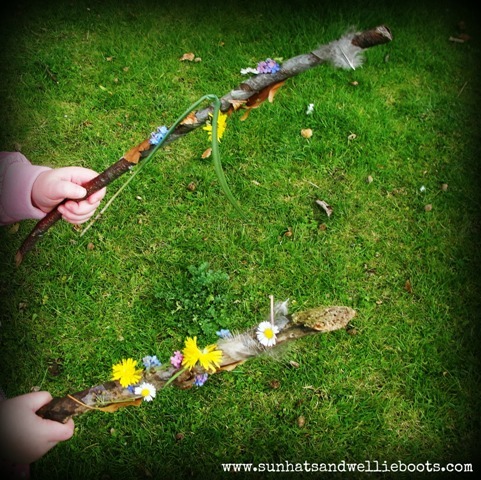 The double-sided tape was strong enough to hold most items (feathers, leaves, flowers, seeds, grass, small stones) but Minnie discovered small pebbles were just a little too heavy! 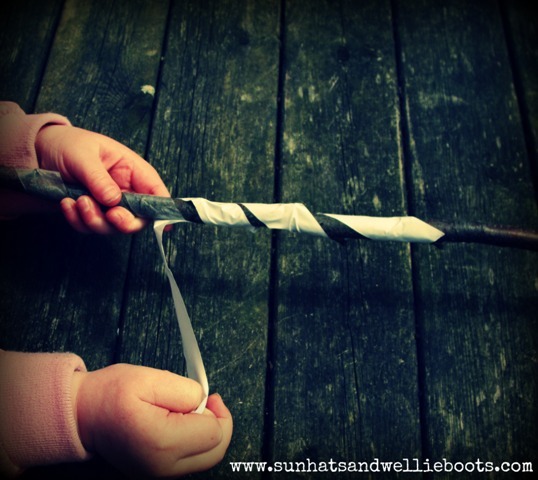 This was a big hit with my girl & she finished up creating three wands! 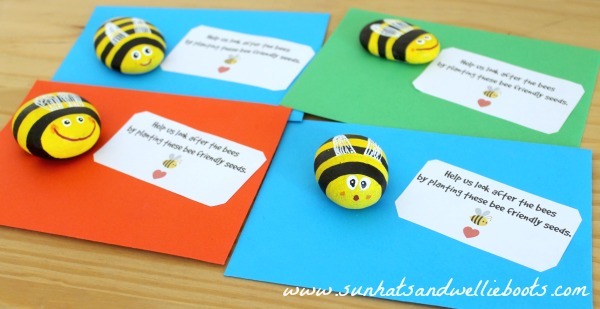 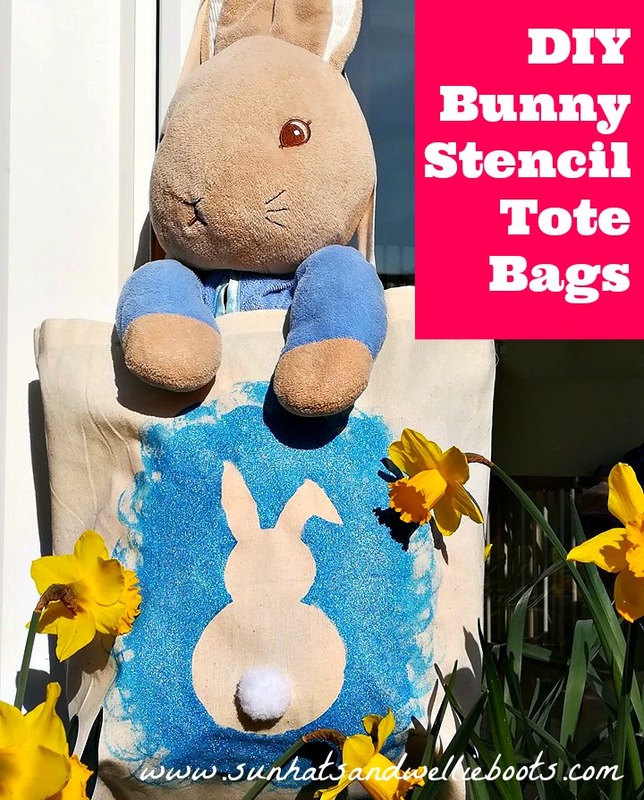 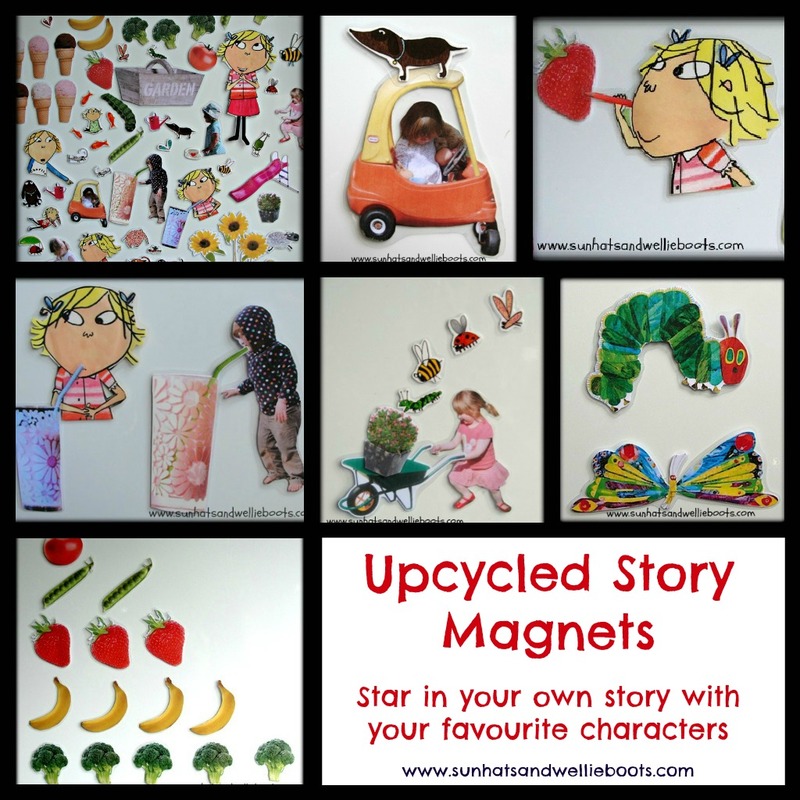 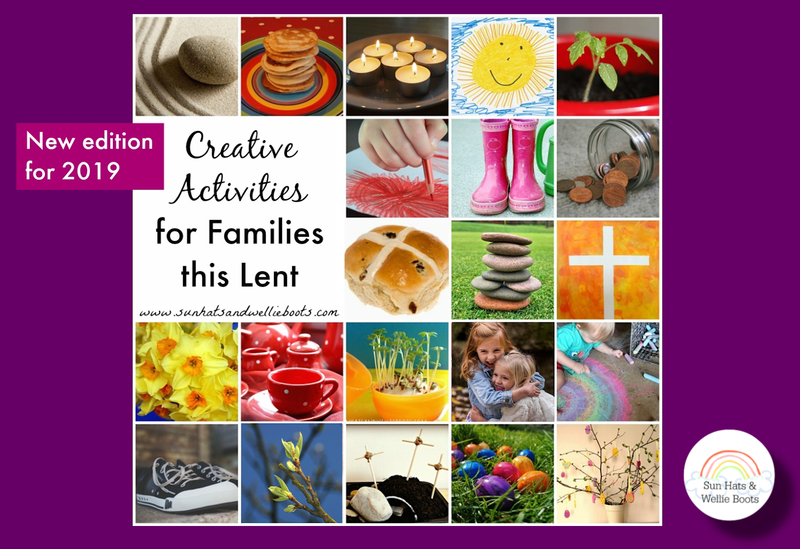 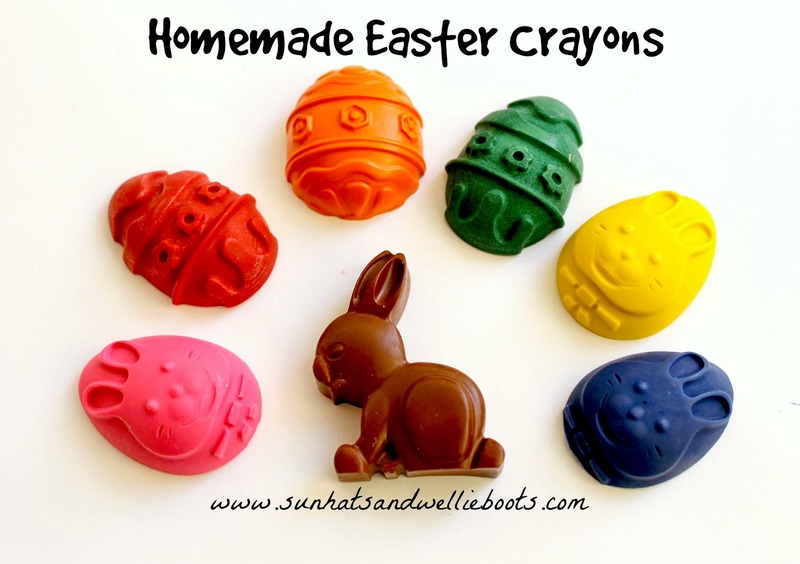 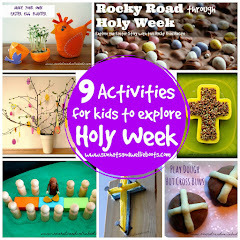 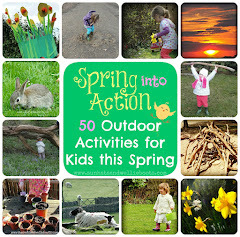 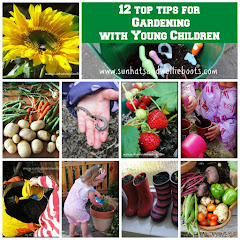 These are ideal for encouraging children to explore outdoor spaces & create nature-based art. 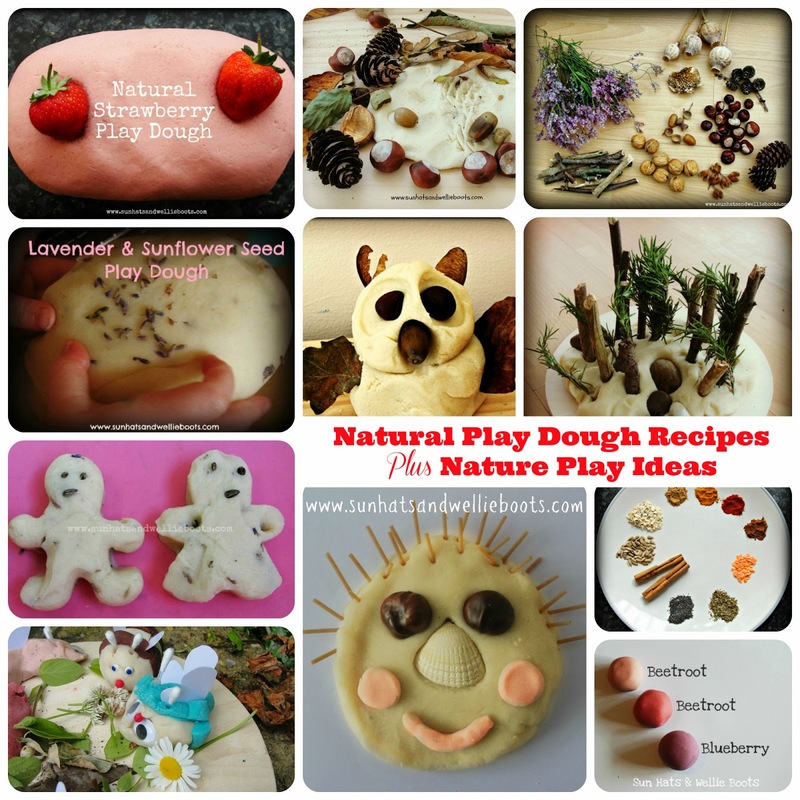 They also offer opportunities for imaginative play, storytelling & an appreciation for the natural environment. 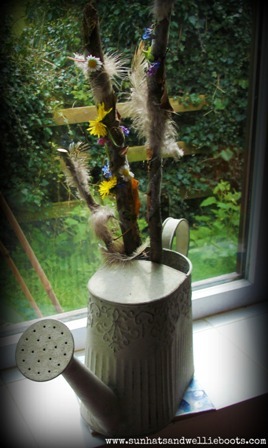 And when these nature wands have finished being played with for the day, they look rather beautiful displayed indoors. 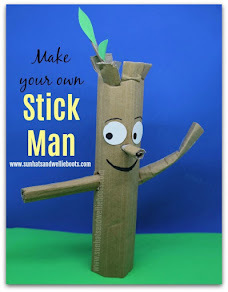 Simple, frugal, & fun outdoor play - perfect!